Broadcasting Corporation, BBC, which disclosed this, yesterday, said Italian prosecutors had commenced investigations into the death of the girls. This came as 50 children were reportedly lost to a strange disease, while 40 others are currently hospitalised in Gidan Dugus village of Wangara district, Dutse Local Government Area of Jigawa State. According to the report, the girls are believed to have been sexually abused and murdered as they attempted to cross the Mediterranean. Following several rescues, their bodies were discovered in a Spanish warship, Cantabria, also carrying 375 migrants and 23 of the dead girls had been on a rubber boat with 64 other people. Italian media reported that the bodies were being kept in a refrigerated section of the warship and that most of the 375 survivors brought to Salerno were sub-Saharan Africans from Nigeria, Senegal, Ghana, The Gambia and Sudan. Among the 375 survivors were 90 women, eight of them pregnant, 52 children and some Libyan men and women on board. 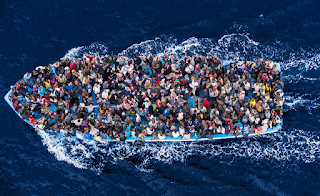 The report said people-smuggling gangs charge each migrant about $6,000 (£4,578) to get to Italy, (the equivalent of N2,160,000 at prevailing exchange rates) $4,000 of which is for the trans-Saharan journey to Libya, adding that many migrants have reported violence, including torture and sexual abuse, by the gangs. Five migrants are being questioned in the southern port of Salerno. Efforts to get the reaction of the Ministry of Internal Affairs to the tragedy, yesterday, proved abortive as officials of the Ministry referred Vanguard to the Foreign Affairs Ministry, who said they would have to get in touch with Rome before reacting. It’s not worth it, Dabiri-Erewa warns However, Senior Special Assistant to the President on Diaspora Matters, Mrs. Abike Dabiri-Erewa, bemoaned the reported loss of the 26 Nigerian lives across the Mediterranean Sea at the weekend. Responding to the development, Dabiri-Erewa said the journey had become more risky on account of the use of smaller but more dangerous boats by the traffickers, a situation she said had been exacerbated by the increasing indifference by European authorities to the plight of those on the sea. While appealing for increased awareness on the dangers and the opportunities available at home, Mrs. Dabiri-Erewa said the present administration had in the last six months, returned close to 5,000 Nigerians under the voluntary repatriation scheme. While noting that she was, however, yet to get an official confirmation on the development, she said: “We are yet to get official reaction on it, but if it is true, it is very, very unfortunate. “We have been saying it for a very long time that these dangerous journeys are not worth it. It is still a problem of ignorance and we have to do more about awareness and now, it is getting more dangerous because the boats being used are smaller, so there is every likelihood of drowning in these smaller boats. “Secondly, the authorities at the other end are not too anxious to save them anymore, so more often than not, they are going to be left to drown. So, in the last six months, this administration has brought down almost 5,000 voluntary returnees, and some of them have gone into productive ventures and have found ways of surviving. Some are even being enrolled in the N-Power programme. “My appeal is that it is not worth risking your life for. Even when you get there, if you succeed, there is no better life there. 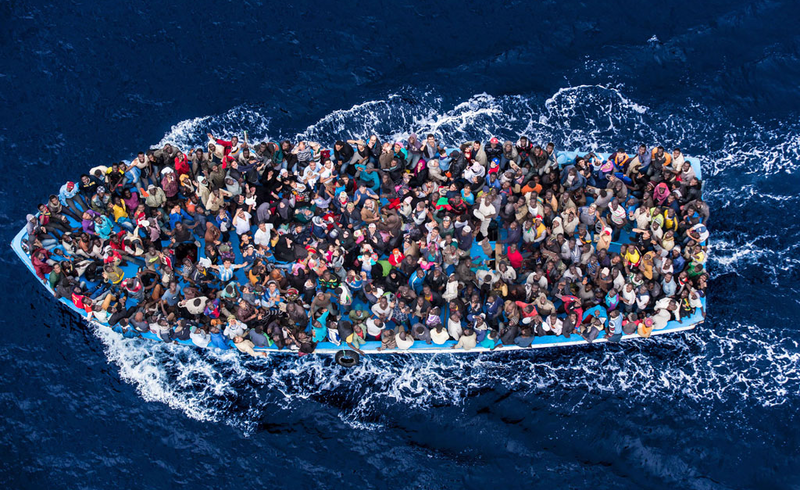 “So, what we need is more awareness on the dangers of this kind of migration. No matter what, it is not better there and these people pay for the journey, why don’t you use that money to do something better here? “It is tragic but we need to keep emphasising that it is not worth it and it is going to get more dangerous with the use of smaller boats for the journey.” It’s danger of illegal immigration —NAPTIP Also reacting, Public Relations Officer, National Agency for the Prohibition of Traffic in Persons, NAPTIP, Mr Josiah Emerole, said: “That is part of the danger of illegal migration. We have been preaching that people should travel through normal routes whenever they want to travel. ‘’We believe that if people migrate appropriately, we will not be having such incidences. It is also important to investigate properly to know whether the bodies are even those of Nigerians. Right now, we are not sure of the nationalities of the dead you are talking about. ‘’Our message is that Nigerians should stop illegal movements out of the country. If you want to move outside Nigeria, it is your right but you must do it appropriately by going through the normal routes and with the appropriate documentation.” 50 die from ‘strange illness’ in Jigawa Meanwhile, a strange illness has taken the lives of 50 children, while 40 others were hospitalized in Gidan Dugus village of Wangara district, Dutse Local Government of Jigawa State. Investigations revealed that the children under the age of five, are dying on daily basis as a result of high fever, stomach upset, vomiting, diarrhoea and shortage of blood. A visit to Gidan Dugus village revealed that parents of the deceased children were mourning the death of their loved ones, while those whose children were affected are living in fear due to their worsening health condition. One of the parents who lost his seven children to the strange illness, Haladu Usman, said: “Within 14 days, I lost seven of my children, three males, and four female. The children, aged between three and one and infant, died one after the other, I lost three in a day.” Another parent, Salisu Abdullahi, said he lost four of his children in one week, despite several efforts made to secure medication from nearby clinics. “I was scared by this unknown sickness which consumed the lives of innocent children of this community,” he said. Also speaking, the ward head of Gidan Dugus, Mallam Umar Dashiru, said what had happened was alarming and pathetic, noting that the community now lives in fears and agony of seeing its children die in numbers. He explained that they reported the case to the state government which sent a team of medical personnel to take blood samples of some children for test, adding that results of the test were being awaited. Contacted, the Permanent Secretary, Ministry of Health, Ali Garba Dandidi, confirmed the incident but faulted the community for not informing the ministry in good time. He said the ministry immediately deployed its personnel to the area with preventive measures as soon as it received reports of the incident in October. Dandidi explained that the ministry received a report of 35 deaths from different households, stressing test of the blood sample collected identified malaria fever as the strange illness. He attributed the incident to failure of the people to patronise health institutions in the area, but rather purchase medicines from patent stores or drug vendors.